“Can’t Hang”, the new video from SAMMY HAGAR & THE CIRCLE, can be seen below. The song is taken from the band’s debut album of original material, “Space Between”, which will be released on May 10 through BMG. SAMMY HAGAR & THE CIRCLE, comprised of Rock And Roll Hall Of Fame inductees Sammy Hagar and bassist Michael Anthony, drummer Jason Bonham and guitarist Vic Johnson, will kick off its 23-city North American on April 19 in Reno, Nevada and end it on June 7 in Chicago, Illinois. Rock greats Vince Neil and NIGHT RANGER will join the tour as special guests on select dates of the tour. Every ticket purchased to the North American tour will include one CD copy of “Space Between”. (The Lewiston, New York show at ArtPark is not part of this offer). In addition, a digital copy of “Space Between” will also be delivered to customers who redeem the CD. Ticket purchasers will receive instructions on how to redeem their copy that will be mailed to them on May 10. With the upcoming release of “Space Between”, the band harnesses the depth of its artistic experiences and seminal collaborative sound with Hagar‘s prolific writing vein to produce an album that builds and explodes, song after song, around the concepts of money, greed, enlightenment and truth. Formed in 2014, the acclaimed supergroup quickly established itself as one of the most emphatic and exciting live acts on tour today, seamlessly ripping through career-spanning hits from MONTROSE, VAN HALEN, SAMMY HAGAR AND THE WABORITAS and LED ZEPPELIN. 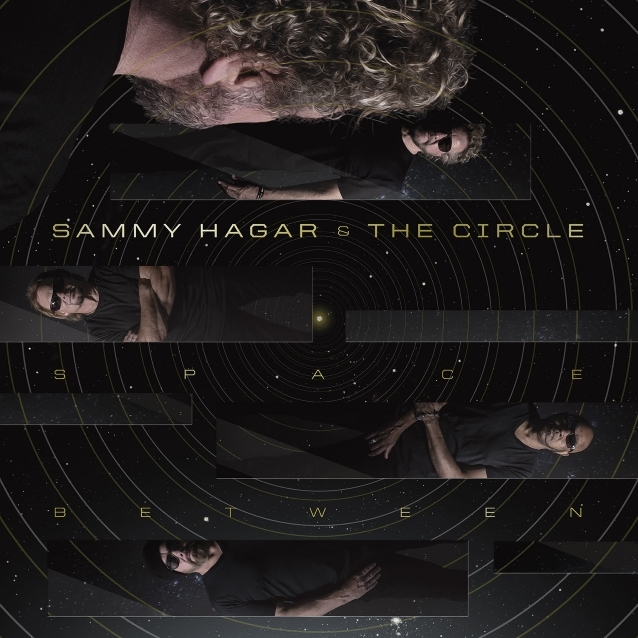 BMG signed a worldwide label deal with SAMMY HAGAR & THE CIRCLE for “Space Between”, and will also include select Hagar catalog titles. Lyrically and musically, the collection of songs on “Space Between” build from intimate and introspective eye-openers to heart-pumping anthems. The music draws on the bands’ substantial careers independently and collaboratively; presenting a veteran band still at the peak of its game.